Capone's top man, or mob dupe? 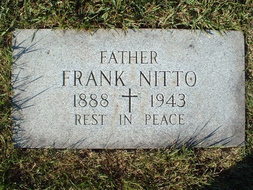 Nitti was born Francesco Raffaele Nittoni in the town of Angri, province of Salerno, Campania, Italy, on Jan. 27, 1881. The second child of Luigi and Rosina (Fezza) Nitto, his father died in 1883, when Nitti was less than two years old. Within a year his mother married Francesco Dolendo. Two children were born to the couple, but neither survived — leaving Francesco and his older sister, Giovannina, the only two children in the family at that time. Dolendo emigrated to the U.S. in July 1890, and the rest of the family followed in June 1893, when Nitti was 12. The family settled in Brooklyn at 113 Navy St.
Nitti attended public school and his 15-year-old sister married a 24-year-old man. Meanwhile, his mother gave birth to his half-brother, Raphael, in 1894, and another child, Gennaro, in 1896. Nitti quit school after the seventh grade, and worked as a pinsetter in a bowling alley, factory worker and barber. Al Capone’s family lived nearby, and Nitti was friends with Capone’s older brothers and their criminal gang, the Navy Street Boys. Conflicts with his step-father forced him to leave home in 1900, at age 19, and he worked at various jobs until about 1910 when he left Brooklyn. The next several years of his life are vague, but he appears to have moved to Chicago around 1913, where he worked steadily as a barber. It was there he met gangsters Alex Louis Greenberg and Dean O’Banion and he moved into organized crime full-time. Records are vague for the next few years until he married Chicagoan Rosa (Rose) Levitt in Dallas, Texas, on Oct. 18, 1917. While in Texas, he appears to have become a partner in the Galveston crime syndicate run by "Johnny" Jack Nounes. It’s believed he stole a large sum of money from Nounes and fellow mobster Dutch Voight in 1918 before fleeing back to Chicago with his wife and settling at 914 South Halsted St.
Nitti renewed contacts with Greenberg and O’Banion and supported himself as a jewel thief, liquor smuggler and fence. Through his liquor smuggling activities, Nitti came to the attention of Chicago crime boss Johnny "Papa Johnny" Torrio and Torrio’s newly-arrived soldier, Al Capone, who had been sent to Torrio from New York by Frankie Yale. When Torrio retired from the rackets after a failed attempt on his life, Capone was handed control of the operation. As a trusted friend from the old neighborhood, Capone placed Nitti in charge of his growing smuggling and distribution operation, importing whisky from Canada and selling it through a network of speakeasies around Chicago. Nitti, on the other hand, chose to use brains rather than muscle and despite his harsh-sounding nickname - "The Enforcer" - appears to have used others to commit violence rather than do it himself. The Nittis divorced in 1928, and shortly after he married Anna Ronga (daughter of a mob doctor and former neighbor of Frank and Rose in the early 1920s). The couple adopted a son, Joe. Jake 'Greasy Thumb' Guzik. His main job was to make sure the graf was spread fairly. Tony 'Joe Batters' Accardo, circa 1950. He started as Capone's driver and bodyguard, and would go on to head the Chicago Outfit from 1972 until his death in 1992 at age 86 from a heart attack. In 1931, both Nitti, 50, and Capone, 32, were convicted of income tax evasion and sent to prison. Nitti received an 18-month sentence, while Capone was sent away for 11 years. 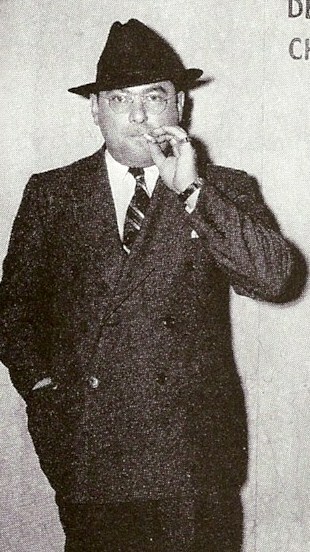 When Nitti was released in 1932, the media hailed him as the new boss of the organization. In truth, however, Nitti appears to have only been a front man. 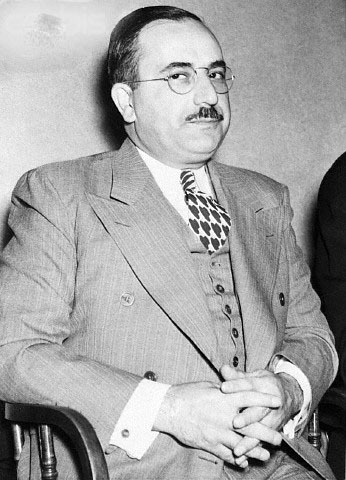 By all accounts, by 1932 Paul "The Waiter" Ricca had the real power, and was clearly the de facto boss by 1939 even though on paper he remained Nitti’s underboss. This is supported by the knowledge that when Charles "Lucky" Luciano and Meyer Lansky organized the National Crime Syndicate in the 1930s, they dealt directly with Ricca, not Nitti, when dealing with issues concerning Chicago. On Dec. 19, 1932, a team of Chicago police, headed by Detective Sergeants Harry Lang and Harry Miller, raided Nitti’s office in Room 554, at 221 N. LaSalle Blvd. Lang shot Nitti three times in the back and neck. He then shot himself (a minor flesh wound) to make the shooting look like self-defense, claiming that Nitti had shot him first. Nitti survived and was charged, but in February 1933, was acquitted of attempted murder. During the trial, Miller testified that Lang received $15,000 to kill Nitti. Another uniformed officer who was present at the shooting testified that Nitti was shot while unarmed. Lang and Miller were both fired from the police force and each fined $100 for simple assault. No other charges were filed. Nitti's wife, Anna, died in 1938. He married Ursula Sue Granata in 1940, who died later that year. (Prior to their marriage, she had been the fiancee of Edward J. O'Hare, a Capone lawyer who had co-operated with authorities in bringing down Capone. O'Hare was shot to death in his car on Nov. 8, 1939.) Nitti next married Annette Caravetta on May 14, 1942. Nitti in the hospital after he was shot by police. Nitti's home just outside Chicago. John "Handsome Johnny" Roselli, above, and Phil D’Andrea at right. Nick Circella, above, and Charles "Cherry Nose" Gioe at right. 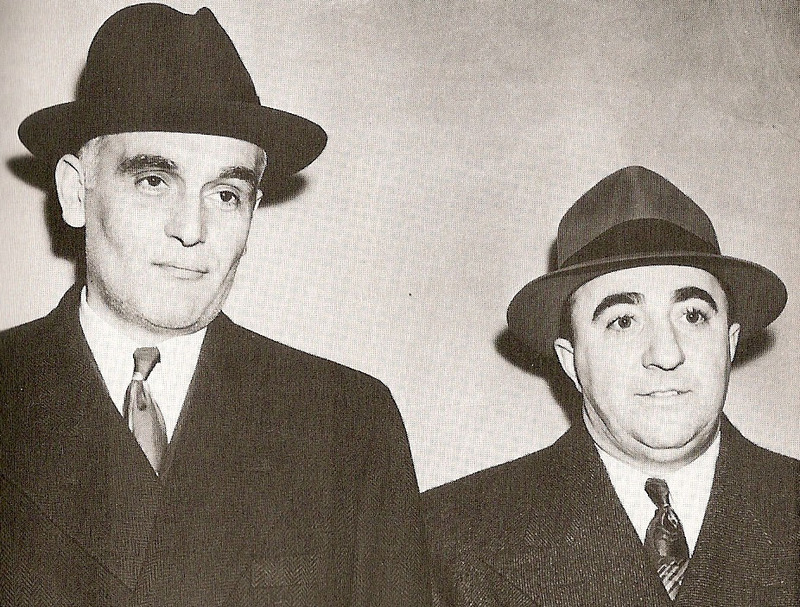 Paul "The Waiter" Ricca, left, and Louis "Little New York" Campagna. Willie "The Pimp" Bioff, left, was sent to Hollywood by Nitti to extort the film industry. Bioff would eventually co-operate with the feds and that resulted in indictments against several high-ranking members of the Chicago Outfit. Bioff was placed in witness protection, but resurfaced several years later in Vegas under the name William Nelson. When he was recognized, the Outfit quickly took its revenge for ratting them out. A bomb was placed in his car. What was left of the car is pictured above. What's left of Bioff is in the lower left under the blanket. Nitti's body is removed at the morgue. In 1943, many top members of the Chicago Outfit were indicted for extorting the Hollywood film industry. 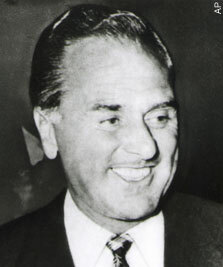 Among those prosecuted were Nitti, Phil D’Andrea, Louis "Little New York" Campagna, Nick Circella, Charles "Cherry Nose" Gioe, Ralph Pierce, Ricca and John "Handsome Johnny" Roselli. They were accused of extorting money from movie studios, including Columbia Pictures, Metro-Goldwyn-Mayer, Paramount Pictures, RKO Pictures and 20th Century Fox to avoid union problems. A severe claustrophobe as a result of his first prison term in 1929, Nitti dreaded the idea of prison confinement. It was also rumored that he was suffering from terminal cancer. For these, or possibly other reasons, he ultimately decided to take his own life. 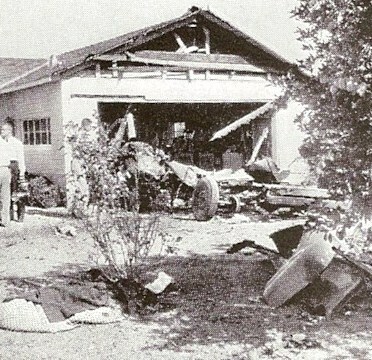 The day before his scheduled grand jury appearance in which he was to admit everything and shoulder the entire blame for the mob, Nitti had breakfast with his wife in their home at 712 Selborne Road in Riverside, Ill. As his wife was leaving to attend church, he told her he planned to take a walk. Once she had left, however, Nitti began to drink heavily. He loaded a .32 caliber revolver, put it in his coat pocket, and walked five blocks to a railroad yard. Two railroad workers spotted Nitti walking on the track of an oncoming train and shouted a warning. They thought the train had hit him, but Nitti jumped out of the way in time. When two shots rang out moments later, the workers thought Nitti was shooting at them. They quickly realized, however, he was trying to shoot himself in the head. He missed, or backed out, both times. Two bullet holes were found in his hat. As the two workers watched from a sort distance away, Nitti unsteadily sat on the ground against a fence put a bullet in his head. 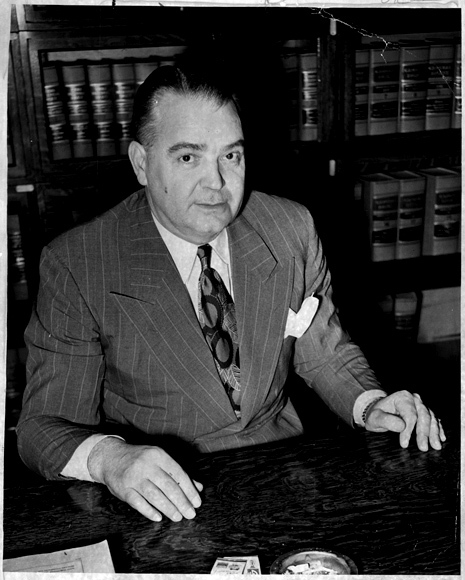 Nitti, a wealthy man and, at least on paper, the most powerful mob boss in Chicago, died sitting in the greasy mud of an Illinois Central railroad branch line in North Riverside on March 19, 1943. He was 62. 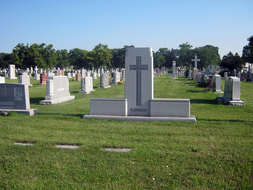 Nitti is buried at Mount Carmel Cemetery in Hillside. His grave can be found left of the main Roosevelt Road entrance, about 50 feet from the gate. It is marked "Nitto." To the right of the gate is the family plot containing the grave of Al Capone, marked by a six-foot white monument stone. And straight up from the gate can be found the graves of Dion O’Banion and Hymie Weiss, North Side Gang leaders ordered killed by Capone. The cemetery also contains the graves of several other Chicago mobsters. Police examine Nitti's body at the site of his death, above, and at the morgue, below. The Nitti family stone, above, and his grave marker, below.